Steeped in Cairo's history, Shadow learns the ways of the dead with the help of Mr. Ibis and Mr. Nancy. In New Orleans, Mad Sweeney introduces Laura to old friends who share their world of voodoo healing. 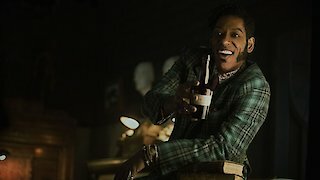 American Gods, Season 2 Episode 5, is currently available to watch and stream on Starz. You can also buy, rent American Gods on demand at Hulu, Starz, Sling online.